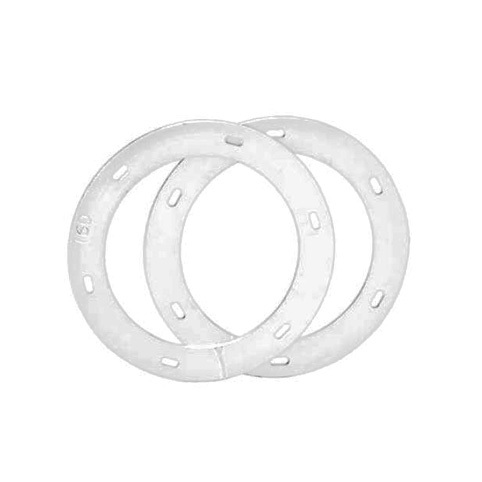 Heavy flange made from flat bar which then is hot dip galvanised. 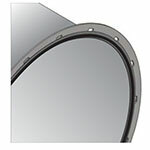 It suits both spirally swaged and lengthways swaged ducts. 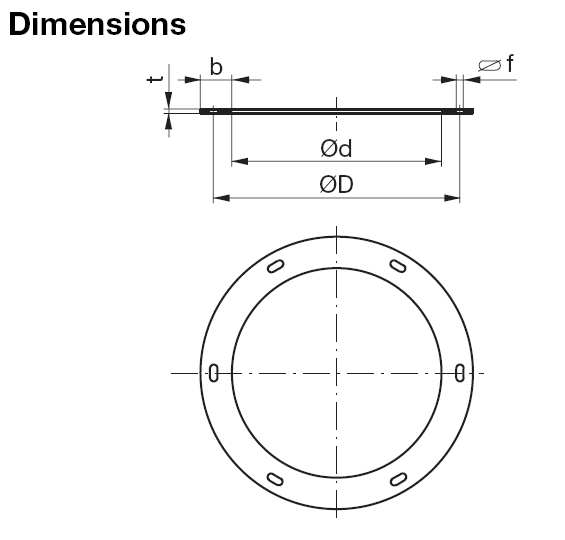 Oval bolt holes facilitate assembly. 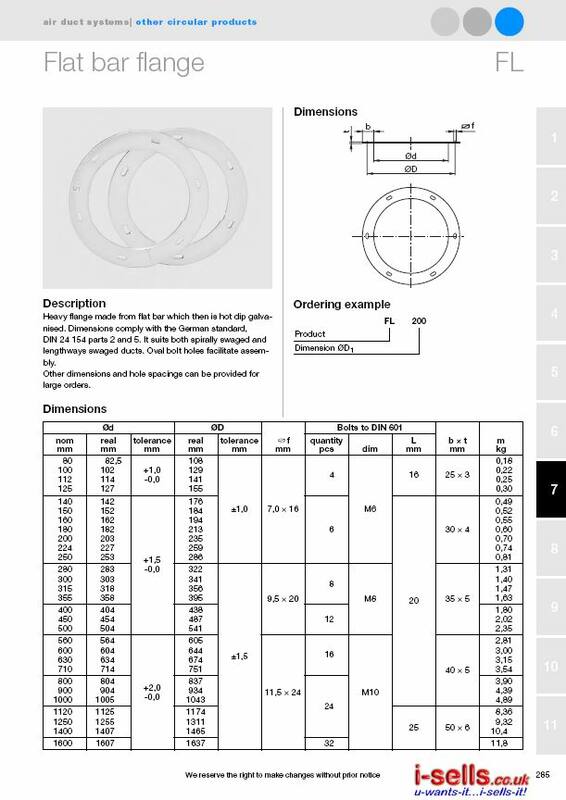 Other dimensions and hole spacings can be provided for large orders. 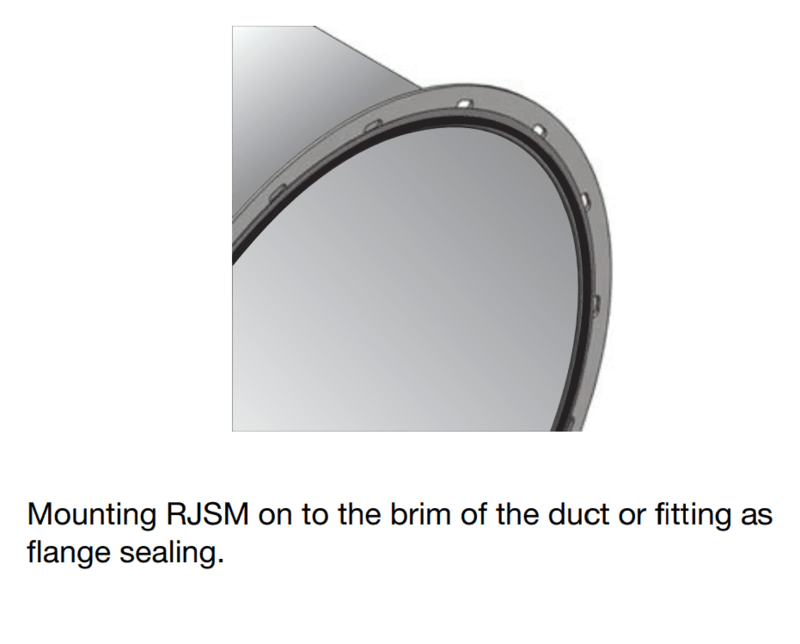 To achieve maximum airtightness between the flanges, use RJSM 12×4 as flange sealing.